Soul of Chogokin King Brachion/Titanus First In Hand Look! We need Ultrazord power NOW! 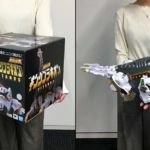 One of the biggest toy releases of the year for many Power Rangers and Super Sentai collectors will no doubt be the upcoming massive Soul of Chogokin King Brachion from Kyoryu Sentai Zyuranger. Or more commonly as he’s known by fans that grew up with Mighty Morphin Power Rangers: Titanus. Soul of Chogokin GX-85 King Brachion is still available for pre-order via site sponsor BigBadToyStore. If you missed out on the Megazord/Daizyujin, a restock will be happening March 2019. When the Mighty Morphin Green Ranger needed some extra firepower, he called upon the mighty Dragonzord to help vanquish Rita Repulsa‘s monsters. Now you too can summon the Dragonzord with the Soul of Chogokin Dragonzord, available from Bluefin Tamashii Nations! This metallic piece of gorgeousness is a fully articulated replication of the Dragonzord and can combine with your Soul of Chogokin Megazord! 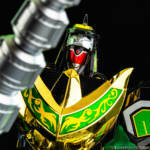 Featured in this gallery of the Soul of Chogokin Dragonzord is the Tamashii Nations Event Exclusive Soul of Chogokin Megazord repaint, as well as the S.H. Figuarts Mighty Morphin Green Ranger. This gallery is brought to you in coordination with our sister site ToyArk.com as well as Bluefin Tamashii Nations. Check some key images by clicking the title of the story, and check out the full gallery by clicking here. The biannual Power Morphicon has come and gone sending many Power Rangers fans home happy and poor. 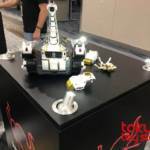 At the convention were our friends from Bluefin Tamashii Nations showcasing their current upcoming product. On display was the Soul of Chogokin Titanus (many claim it is simply a Legacy Titanus), their convention circuit exclusives Soul of Chogokin Black Megazord, Green and Red Ranger S.H. Figuarts with human heads, as well as the upcoming S.H. Figuarts Mighty Morphin White Ranger with human head. Power Morphicon 2018- Soul Of Chogokin TITANUS Revealed! With Power Morphicon 2018 now underway, we have our first major reveal courtesy of Bandai Japan and the good people at Toku ToyStore! At long last we have the third Soul Of Chogokin release for Mighty Morphin Power Rangers– none other than Titanus the CarrierZord! Also known as King Brachion for fans of Kyoryu Sentai ZyuRanger. The long-necked Carrier is recreated in exquisite diecast detail- and based on previous releases should be fully compatible with the previously released DaiZyuJin and Dragon Ceaser Soul of Chogokin entries. Sadly, price & release details for Titanus have not been revealed at time of writing. Stay tuned to TokuNation as we keep you up to date on all Power Morphicon reveals!